Rural 4G and Wi-Fi connectivity boost from church spires. 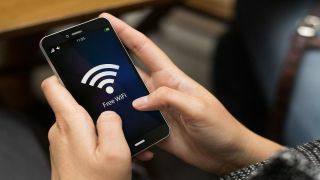 The government is planning to use church spires to improve mobile, broadband and Wi-Fi connectivity across the UK following an agreement with the Church of England. A new plan released today by the National Church Institutions (NCIs) of the Church of England, the Department for Digital, Culture, Media and Sport (DCMS) and Department for the Environment, Food and Rural Affairs (Defra) will offer support and guidance for rural parishes looking to help their communities. The Church of England has more than 16,000 buildings in 12,500 parishes and two thirds of churches and parishes are in rural areas, often situated in central locations, making them well positioned to solve connectivity challenges. There are more than 120 instances of this being done in the UK, including in Chelsmford, Norwich and in Bath, where churches are used as wireless access points to deliver superfast broadband to areas excluded from other rollouts. The move has been welcomed by the industry and by church leaders. “We know that rural churches in particular have always served as a hub for their communities,” said Rt Revd Stephen Cottrell, the Bishop of Chelmsford, where the Diocese has been involved in community broadband since 2013. “Where there is a need, a suitable building is available and appropriate terms can be agreed, the mobile operators will continue to extend their use of churches to increase mobile coverage and capacity, while respecting the church environment,” added Hamish McLeod, director of industry body Mobile UK. More than 95 percent of the UK population has access to superfast broadband, while EE has committed to delivering 4G coverage to 95 percent of the UK landmass by the end of the decade.